The iPhone Simulator, now called iOS Simulator, is included with every copy of Xcode. 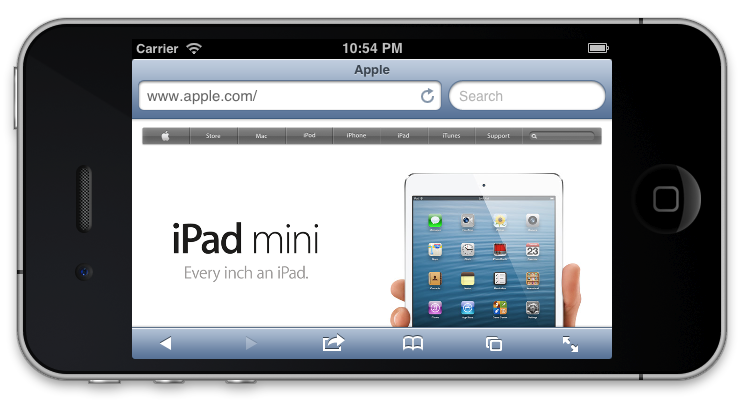 It can be used to emulate any iPhone or iPad, useful for iOS development and mobile web development. It used to be included as a separate application in the Developer Tools folder. Recently, Apple changed the file hierarchy of Xcode and bundled everything into the Xcode.app package. Use the keyboard shortcut Command + Shift + G to navigate to that location. From here, you can also create an alias (shortcut) or place the iOS Simulator on the Dock.